On January 1, 2018, Attorney Eric R. Elms was named a shareholder of the Orlando, Florida law firm of Fisher Rushmer, P.A. As a shareholder, Mr. Elms will continue to assist the firm in its civil trial cases involving personal injury and insurance litigation. "Our goal is to handle a wide range of legal needs for our clients," said Joe Amos, Jr., managing shareholder for Fisher Rushmer, P.A. "Eric, in particular, brings to our firm a tenacity that is a true asset to our clients. His clear insight into insurance and the litigation process makes him uniquely qualified to assist in both personal injury and insurance matters. "Fisher Rushmer, P.A., has a reputation for excellence in Orlando," said Elms. "I am thrilled to be named a shareholder to such a highly-acclaimed firm and I look forward to continuing to provide my clients with personal attention for their civil trial cases." Attorney Eric Elms brings to Fisher Rushmer, P.A. the services of an experienced and dedicated civil trial attorney. Because of his prior work as a claims manager for a Fortune 200 company, Mr. Elms understands the way insurance companies work. He assists clients with their insurance negotiations and other matters from the start of their claim to its conclusion. His understanding of insurance and insurance law translates well to his work in personal injury and insurance litigation. Attorney Elms has a reputation for tenacity and accuracy. His work has earned him Florida Super Lawyer Rising Star status in Civil Litigation Defense from 2015-2017. He also has an AV Preeminent rating from Martindale-Hubbell. He currently serves as a Ninth Circuit Representative on the Florida Bar Young Lawyers Division Board of Governors. This reputation and his award-winning work helped earn him the promotion to shareholder. As shareholder, Elms partners with a team of 18 other attorneys at Fisher Rushmer, P.A. to provide personal, dedicated attention to all of the firm's clients. 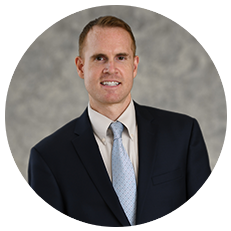 Click here to find out more about Attorney Eric Elms and how to contact him.